European Bladdernut - Staphylea pinnata, Colchis Bladdernut - Staphylea colchica etc. The ripe fruits hardly open and hang for long on the tree. When they are moved by the wind, the hard seeds in the inflated capsules cause a rattling noise. In former times in German language this sound was called onomatopoetically pimpern (to rattle or to jingle). Hence the name Pimpernuß with the meaning of rattling nut. 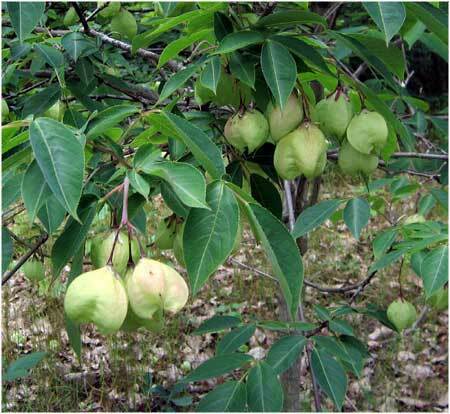 Further information on bladdernut .